The event is being organized by the Thai Gem and Jewelry Traders Association (TGJTA) with the cooperation of the Ministry of Tourism and Sports (MOTS), the Tourism Authority of Thailand (TAT), and AEC+6 industry associations. It takes place at the IMPACT Challenger 2, Muang Thong Thani, Bangkok. TGJTA President Suttipong Damrongsakul said that with the theme ‘Treasure Road to the World’, the organizers believe the fair will help boost trade within both domestic and regional markets and will highlight the strength of Thailand’s gems and jewelry industry. Currently Thailand’s gems and jewelry industry employs over a million people, with exports amounting to $14.25 billion in 2016, up almost 30 percent on the preceding year. 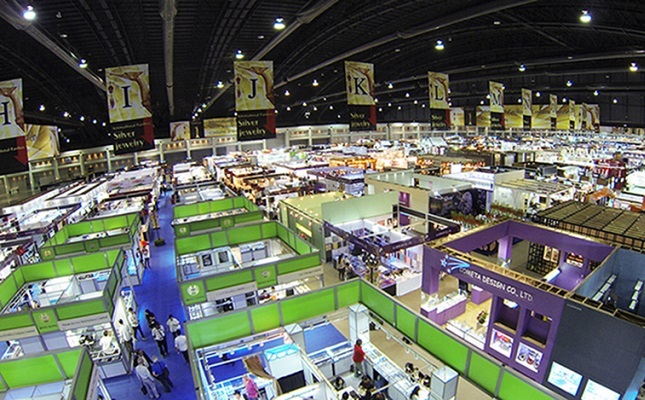 The mid-year fair is expected to stimulate gems and jewelry trade in both domestic and export markets. Pandora will take part in the Thailand Gems & Jewelry Fair to showcase its story. “Pandora’s highlight at the TGJF 2017 will be our company’s history and the heritage of Pandora’s famous charm bracelet that has been instrumental in the company’s growth and rapid expansion,” said Nils Helander, Senior Vice President, Manufacturing & Managing Director of Pandora Production. “We will also be showing our latest collection that is sold in 100 countries over the six continents and our fine craftsmanship in hand-crafting Pandora’s jewelry at the event.” Thailand has long been a production base for Pandora. The show will also provide seminars, exhibitions and fashion shows arranged in cooperation with the TGJTA’s partners. Alessio Boschi will give a talk on ‘Mastering the Art of Thai Jewelry Crafting…Designing the Opportunity in Global Markets’ in which he will share his experience in jewelry design. There will also be a seminar on ‘Quality Standards of Rubies and Sapphires’ held by the Gem and Jewelry Institute of Thailand (GIT). The latest design trends will be at the center of a presentation by Rajamangala University of Technology on ‘Trends in Thai Jewelry Designs in the Creative Industry towards Thailand 4.0’, which will also feature a special fashion show by university students.